Attention Deficit Hyperactivity Disorder, or ADHD, is a developmental/behavioral condition affecting millions of children and adults in the US. 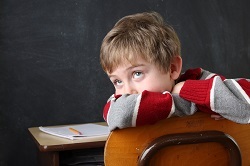 Quirky and difficult to diagnose, ADHD presents significant challenges to children, parents, caregivers and educators. At White Oak Pediatrics in Raleigh, NC, the team of five pediatricians helps families navigate the diagnosis, treatment, and everyday coping associated with ADHD. Does your child behave in ways other children do not? Are they super active, restless, and can't stay on task? These behavior patterns could constitute ADHD, but questions about and evaluation of symptoms should begin with your Raleigh, NC, pediatrician. The National Resource Center on ADHD says these symptoms must be "extreme, pervasive, and persistent" to constitute an actual diagnosis. To determine what's happening with your child, your pediatrician may refer you to a neuropsychologist or other specialist for further testing. With a diagnosis, your pediatrician can reach out to your child's school for input on their IEP, or Individualized Education Program, and prescribe medications to normalize the most disruptive of ADHD behaviors. For reasons, yet to be uncovered, ADHD affects more individuals with each passing year. The Centers for Disease Control in Atlanta (CDC) reports a recent rise to 6.4 million American children ages 7 to 14. However, parents should understand that this problem affects adults, too, and often goes undiagnosed and untreated. ADHD definitely runs in families; so if your child has this brain-based disorder, likely someone else in your family does as well. Besides stimulant medications such as Adderall and Ritalin, your child's doctor may recommend positive reinforcement (rewarding desired behaviors) as an effective therapy. Additionally, parents should understand that while boys receive the official diagnosis of ADHD more frequently than girls, this disorder truly does cross lines of gender, socioeconomic status, race, and more. As a parent, you know your child better than anyone else. If you observe behaviors in him or her that seem very different from those of other youngsters and wish to talk about them, please call (919) 787-0266 to schedule a consultation at White Oak Pediatrics in Raleigh, NC. Our professional team is eager to help all children be healthy and well-functioning in all areas of their lives. Breastfeeding isn't always as simple as it looks on TV. Your baby may have difficulty latching on, or you may worry that he or she isn't feeding long enough. Familiarizing yourself with a few breastfeeding basics can provide much-needed reassurance, whether you're a new or experienced parent. White Oak Pediatrics in Raleigh, NC, supports breastfeeding mothers with helpful advice from pediatricians and a lactation education nurse. The American Academy of Pediatrics recommends breastfeeding exclusively for six months, then supplementing breastfeeding with food until your baby is 12 months old. Of course, you can continue to breastfeed longer than 12 months if you wish. Breastfeeding offers benefits for both mother and child. Thanks to breastfeeding, your baby may have a reduced risk of ear infections, eczema, asthma, type 2 diabetes, and ear and respiratory infections. You may also have a lower risk of type 2 diabetes, high blood pressure or breast or ovarian cancer. Breastfeeding also helps your uterus return to its usual size more quickly and may help you burn more calories and lose those pregnancy pounds. What can I eat or drink while breastfeeding? Breastfeeding isn't the time to try a new diet. In fact, you'll need to consume about 500 more calories a day to make enough milk to feed your son or daughter. A healthy mixture of fruits, vegetables, whole grains and lean meats will help keep you and your baby healthy. Since some substances can be passed on to your baby via your bloodstream, it's best to limit caffeine and avoid cigarettes completely. If you plan to celebrate a special occasion with an alcoholic drink, make sure you schedule breastfeeding for two hours after you finish the drink. Breastfeeding isn't working. What can I do? Before you decide that breastfeeding isn't for you, it's important to seek advice from the professionals. Your child's Raleigh pediatrician can offer suggestions or refer you to a lactation education nurse who has considerable experience with common breastfeeding issues, such as difficulty latching on, pain or low milk production. With a little help and support, breastfeeding can become a much more positive experience. Do you have questions about breastfeeding? 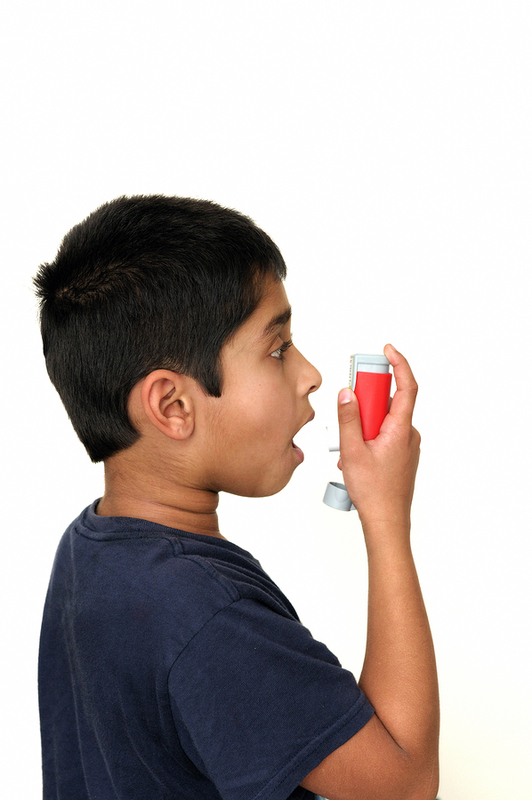 Call the pediatricians at White Oak Pediatrics in Raleigh, NC, at (919) 787-0266. Find out why regular immunizations are vitally important for your child’s health. You might notice that from the moment your child is born that there is a rather extensive list of immunizations that your child needs to stay healthy. Does your child really need all these shots or can they skip some? We know there are many questions parents have regarding vaccinating their children and our Raleigh, NC, pediatricians are here to put your mind at ease. This is the number one question on most parents’ minds. After all, there are so many news reports and coverage on vaccines that it can be difficult to know what information to trust. It’s important to understand that millions of children each year receive vaccinations and are completely safe. In fact, immunizations could actually save a child’s life. And if you are still a bit nervous about them, remind yourself that vaccines have undergone rigorous medical testing by scientists and doctors to make sure that they are safe and effective. 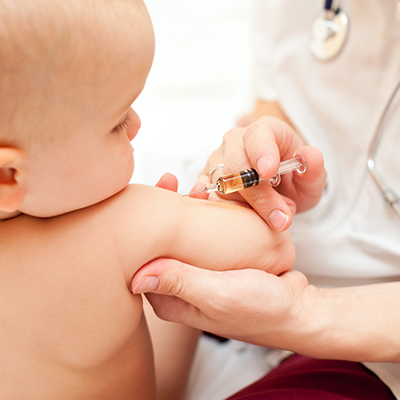 Why does my child need to get vaccinated? 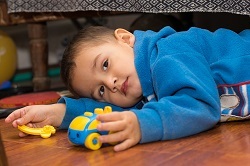 There are a host of childhood illnesses out there that has serious and even potentially life-threatening complications. Along with protecting your child against serious infections such as polio, we can also protect others within your family from contracting this same illness by vaccinating your child. For example, if you have a newborn in your home, they won’t have all their vaccinations yet. By vaccinating older children you can prevent the spread of serious infections to members of your family who can’t yet get vaccinated. No matter whether you have questions about your child’s upcoming visit and immunizations, or you need to schedule a school physical before the school year begins, the caring team and staff at White Oaks Pediatrics in Raleigh, NC, are here to help. Schedule an appointment with us today.